What a mission putting together this list! Firstly, let me tell you, Cape Town has just about a million and more fun things to do for both young and old, it was near impossible sticking to only five! It was, however, a ton of fun and in the end, I sifted through the hordes and settled on the activities that are sure not to break your bank. In fact for some, you will pay as little as NOTHING! 1. What’s all happening at the V&A Waterfront this Easter holiday? Paw Patrol and Toy Kingdom’s Stay Safe initiative will teach pre-schoolers to explore their surroundings safely, with helpful tips that will keep them out of danger. Receive a booklet that teaches youngsters about road safety, and as they complete each activity they receive a sticker. When all activities are complete, they receive a special safety certificate. Every day colourful toy characters will line up for the 11.30am Toy Parade in the form of a flash mob dance, and children of all ages are welcome to join them. Both stores will greet young visitors with balloons and bubbles, as well as “egg-straordinary” special offers for Build a Bear sessions. Come and marvel at the sharks of the Predator Exhibit while learning more about South Africa’s incredible coastline and its animals, from in-house experts who know how to have fun and keep you entertained. Hop on the V@A Waterfront Harbour cruise or the Canal Cruise with City Sightseeing. Each tour includes commentary with a special dedicated kid’s channel. Be entertained by this colourful character and could be in line to receive free prizes and sweet giveaways. They will also be kept fit with ‘hip hopping’ dancing, egg-xersize bunny yoga and games of pinning the tail on the bunny. Junior or 3-6 year olds: Includes five experiments. Dry ice, smoke bubbles, make your own sherbet, catch a bubble and helium foam balloons. All equipment provided including lab aprons and the remainder of sherbet kit to take home. Senior or 7-12 year olds: Each participant will receive a take-home DIY science kit which includes three experiments. Screaming jelly babies, make your own sherbet, dry ice, smoke bubbles, smoking lava lamp. All equipment provided including lab coats. 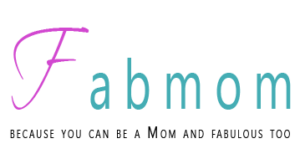 All sessions are facilitated by creative scientists. Come help the kind and thoughtful Grey rabbit save his conceited friend the Hare, and his proud friend the Squirrel from the clutched of the weasel. If you are on the far North of Cape Town, then Cape Gate promises to keep your little ones entertained with daily Peter Rabbit story time & activities, Face painting, Biscuit decorating, Paper plate crafting and so much more. 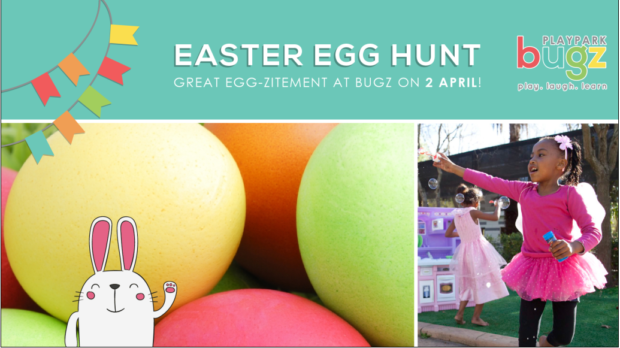 It’s the 6th Easter Egg Hunt hosted by Bugz Playpark just for the kids. This event is SUPER popular. Make sure you arrive early enough to make it through the gates. Cost: Tickets available at the gate. R50 for adults, R35 for pensioners, R60 for kids and R120 VIP full rider package includes the famous Easter Egg Hunt. 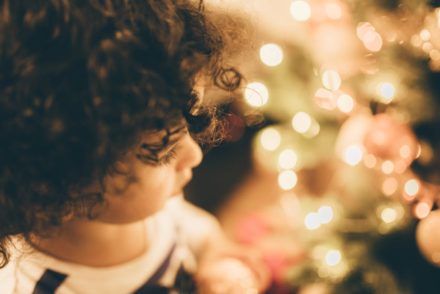 Have a safe and fun holiday with the little ones!